Not an inviting prospect staying there is it? 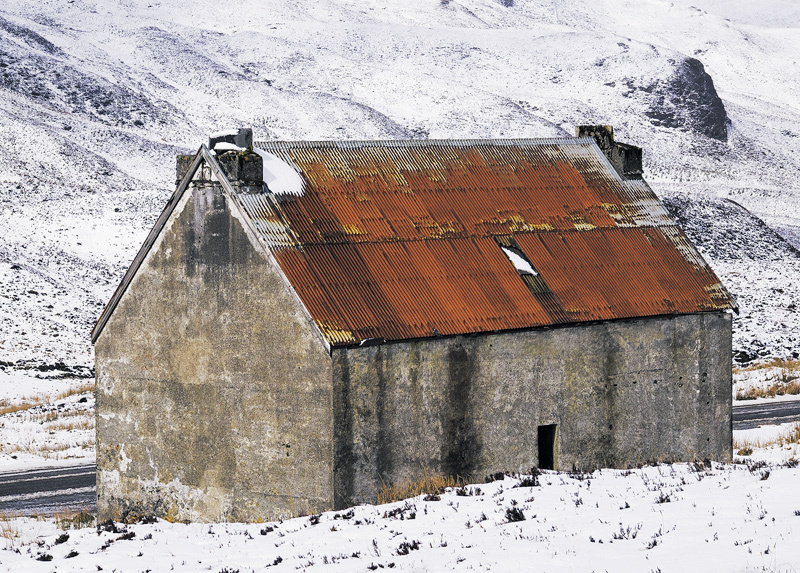 Situated between Braemore Junction and Dundonnell on a high moorland road surrounded by the Fannichs and noble An Teallach is Fain House, a solitary abandoned stone dwelling house with little to commend it bar it's romantically desolate setting and it's colourful rusted red roof. This was supposed to be Spring and in typical Scottish fashion it snowed heavily. I traipsed into the moor and let the monochromatic textures of the mountain slopes provide the backdrop to that remarkably colourful roof.